Why did our savior LORD Jesus Christ fast? Debre Zeit (ደብረ ዘይት): the Ge’ez phrase for Mount of Olives is one of the nine minor feast days of the Lord observed halfway in the fifth week of the great lent. The Ethiopian Orthodox Church celebrates the feast with special consideration based upon the second coming of Christ, which was announced by our Lord on the Mount of Olives. Biblical verses and the hymn of St.Yared pertinent to our Lord’s second coming are read and sung on this day. 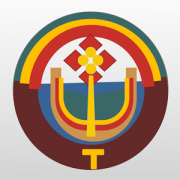 Tewahedo app is designed for smart phones (Android + iPhone) and related touch devices. It gives access to a vast collection of carefully curated spiritual resources of the Ethiopian Orhothodox Tewahedo Church. The app’s interface is currently in Amharic language. In 1977 E.C (Ethiopian Calendar) few students of higher education initiated the youth in the compass to become members of Sunday school and know the teachings of the churches. Later, this effort had been strengthened by students trained in the Zeaway Hamere Berehan St.Gebreil Clergy Training Monastery by the Then Arch Bishop of Shewa Abune Gorgorious II. The movements continued in Bilatie military camp that brought all students of higher institutions in the country in 1983 E.C after a year, with the blessing of the church fathers the associations was set up by the name “Mahibre Kidusan” under the Sunday School Department of the Ethiopian Orthodox Tewahedo Church. Since then the associations has been proving spiritual service. The association was named Mahibre Kidusan (an association in the name of Saints) Saints would be commemorated in that they abounded the secular world and sacrificed their lives to the orthodox belief for whom the prophets prophesized and apostles evangelized. To organize the youth, who are the children of the church, in higher education under the association and provide them with the teachings of the church. To expand evangelism with various means (ministry, publication, audio and video recordings) in cooperation with the pertinent church bodies. To prepare conditions that enable the educated section of the society support the Orthodox Church with his/her knowledge and assets. To enable the members of the association render free and humanitarian service. To preserve the generation of the dignity and fame of the church fathers. To keep the youth in higher institutions who baptized and become children of the Holy Spirit from heretics who use various means to trap and deviate to their belief. To design favorable means for students of higher institutions to know and preserve as well as pass to the next generation the canon and tradition of the church passed on to them by forefathers of the church. To enable the youth overcome the social problems up on graduation and in serving their country and the church with their profession. To follow up the youth’s adherence and practice of the orthodox belief. The association shall not interfere in administrative affairs of the church and it is free from and political affiliation. Disciples who trained in various training institution of the church and providing ministerial activity. Higher institution students attending Sunday in their respective parishes. Member of Sunday school or/and parish that provide spiritual service after graduating from higher institution. The laity who support the objective of the association with their knowledge, money and labor. Mahiber Kidusan is set under the Sunday School department of the Ethiopian Orthodox Church. It provides spiritual services by its sub centers in the dioceses all over the country and in the Diaspora.